The weekend will be chilly, but nothing in comparison to what Monday’s cold front will bring into town. 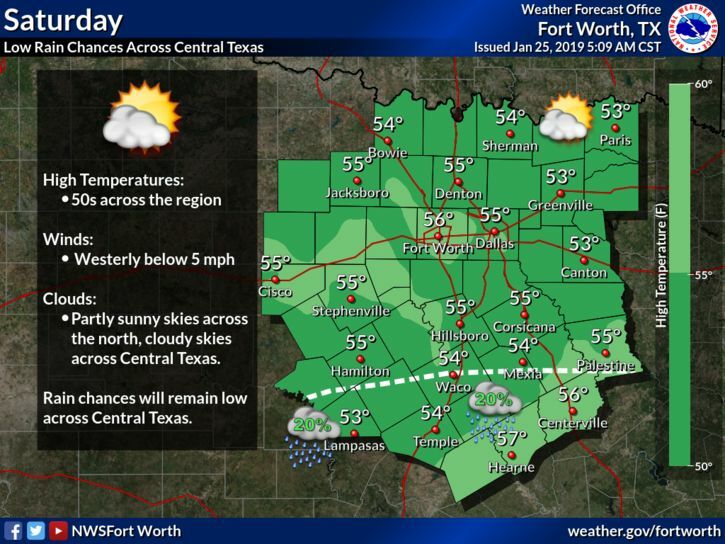 Saturday’s temperatures will be in the 50s across the region with a low chance of rain across Central Texas. 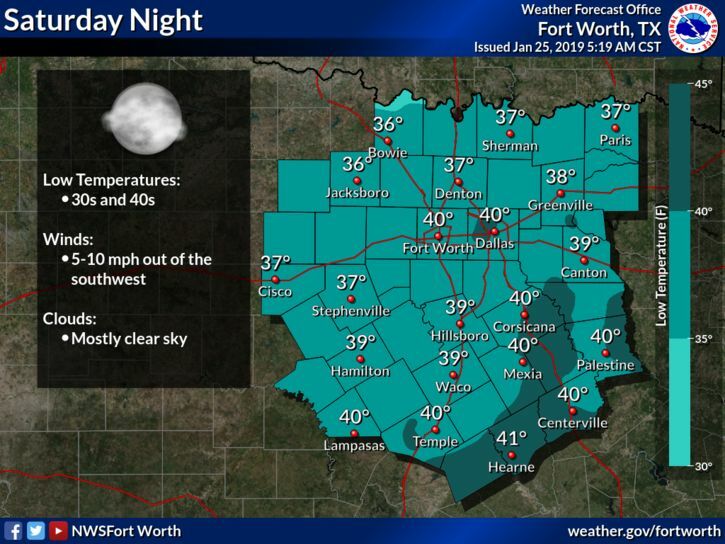 Cleay skies will dominate Saturday night, allowing temperatures to drop into the 30s and 40s. Winds will be around 5 – 10 mph. 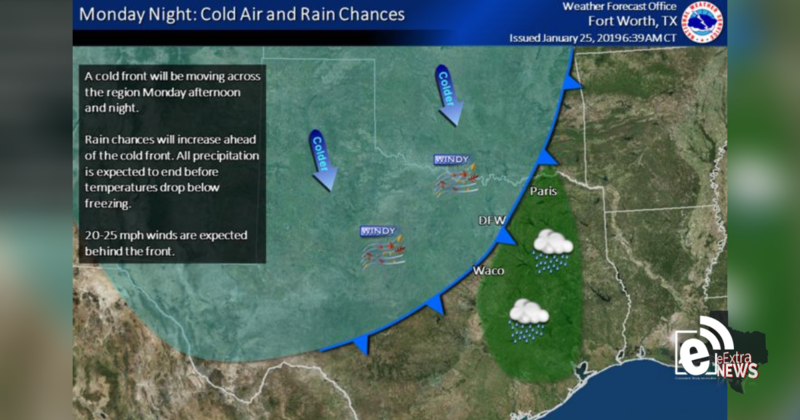 A cold front will make its way across the region on Monday. 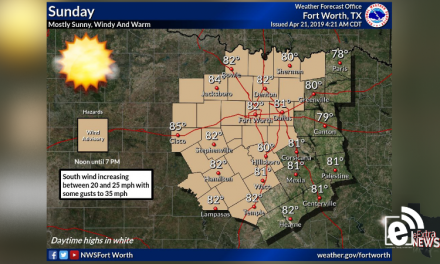 Rain chances will be on the rise, mainly east of I-35. 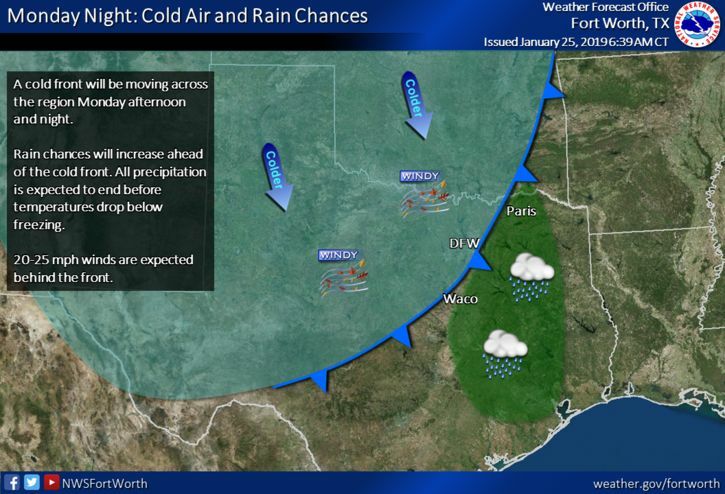 All precipitation will come to an end before temperatures drop below freezing.